THE OCTOBER 26 GRADUATION IS GOING TO BE HUGE! This month’s headliner is Australian comedy legend, Richard Stubbs, aka, Stubbsy! 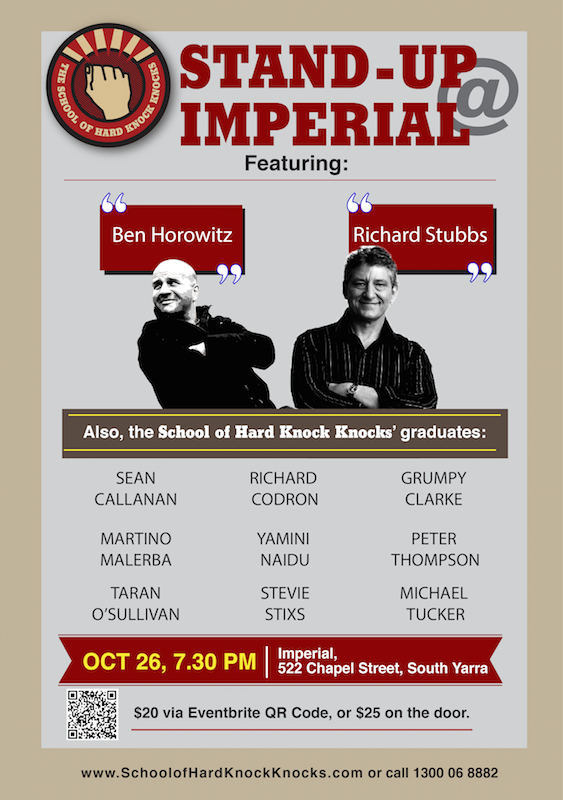 Plus, our own School of Hard Knock Knocks’ co-founder, the very funny Ben Horowitz. The School of Hard Knock Knocks’ graduates and selected alumni will also be performing their best 5-minute sets, which means you’ll be the first to witness celebrity comedians of the future!